The safety and well-being of our children is a top priority in our lives. One area we desire to make safe and secure for our children is in our homes. This becomes extremely important when we have infants and toddlers to keep safe. As parents and guardians we strive to keep all hazardous chemicals and other items that can be a danger and safety hazard, kept secure and out of reach of their curious little hands. One area many of us may not think of, or over-look as being a safety hazard to our children is our furniture and TVs. You should also know that a 36-inch CRT TV (old-style picture tube model) falling just three feet creates the same momentum as a 1-year old child falling from a 10 story structure. And, approximately $8.3 million is spent each year in medical cost to treat children ages 19 and under in health care ER’s from TV tip-over injuries. TV Design: If you are planning on purchasing a new TV and plan to place it atop a TV stand, please take note of the type of feet or stand the set is supported by. Some TV manufacturers are designing TVs with feet that extend out front and back located at or near the screens edge (See photo at right – or above for mobile devices). These designs are more aesthetically pleasing to the eye, but may not be good for the support of the TV – in other words they could be prone to tip-overs. Another design currently being manufactured and is prone to tip-over are TVs that have boomerang (curved) shaped stands that extend the full width of the base of the TV. Try and choose a set with a pedestal type design with a good sized base which supports the set from its center. Or look for a “stand” design that spans across the width of the set and extends several inches out front and back of the TV. 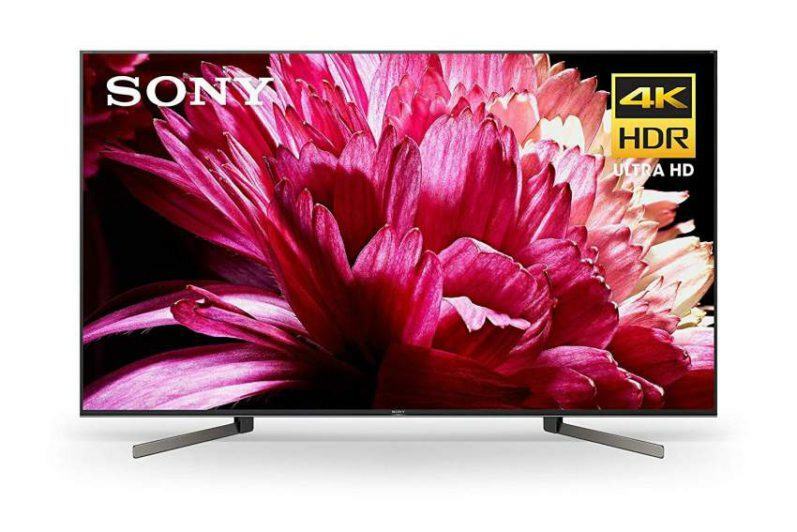 These designs will give the TV much better support and greatly reduce tip-overs. Be sure the TV cabinet you will be placing your set on is large enough to support it’s feet or pedestal. 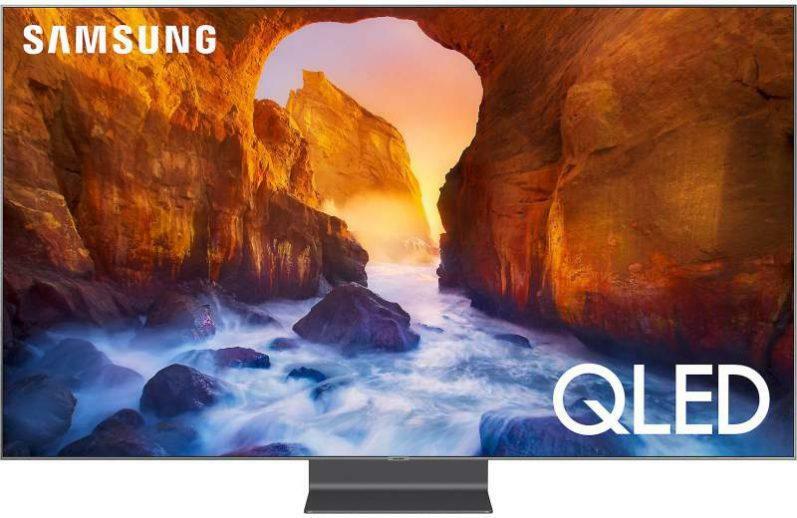 Since many TV manufacturers are designing stands with more “form over function” designs which can make the display less stable, there’s a higher chance that the model you choose will be susceptible to tip-over. In this case, choose an option listed below to secure your set. The best option is to mount your flat screen HDTV to the wall. 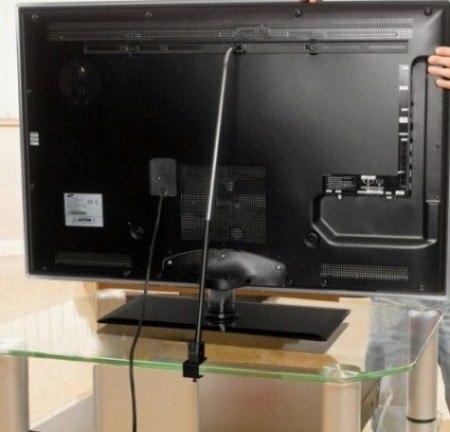 This will eliminate your TV from falling off a stand. 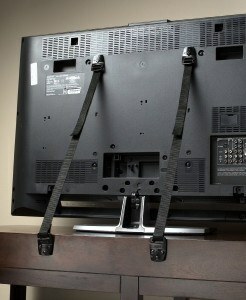 Secure you TV with TV straps that connect to the back of the set and to a secure spot on the wall behind the set, or to the TV cabinet (stand). An even more secure option is to use a stabilizing solid bar. (See photo at right – above for mobile devices). 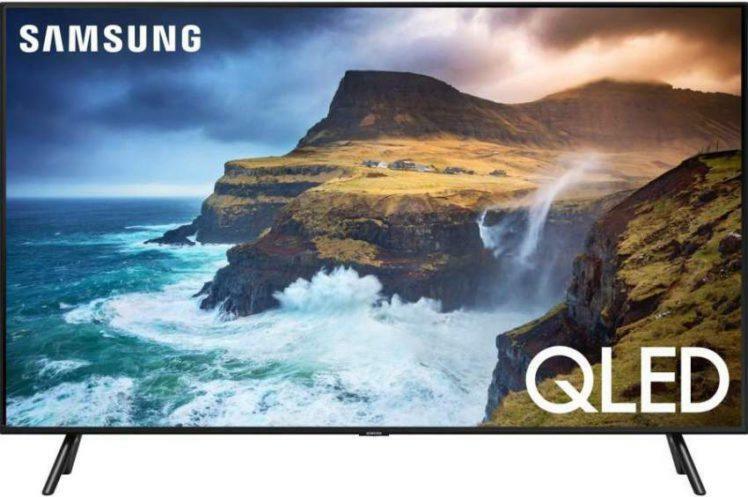 This not only keeps your TV from tipping forward, but also from tipping backwards. Follow all manufacturer’s instructions if using these options. If you have an old-style tube (CRT) TV, place it on a “low” stable piece of furniture. Secure your top-heavy and unstable furniture using brackets, braces or wall straps. Install stops on dresser drawers to prevent them from being pulled all the way out. Note: Even if the HDTV you purchase does have what is considered a safe pedestal or stand design, securing it for safety is still highly recommended. Avoid placing remote controls, toys, food or other items in places where kids may be tempted to climb or reach for them. Recycle old CRT TVs if they are not being used. 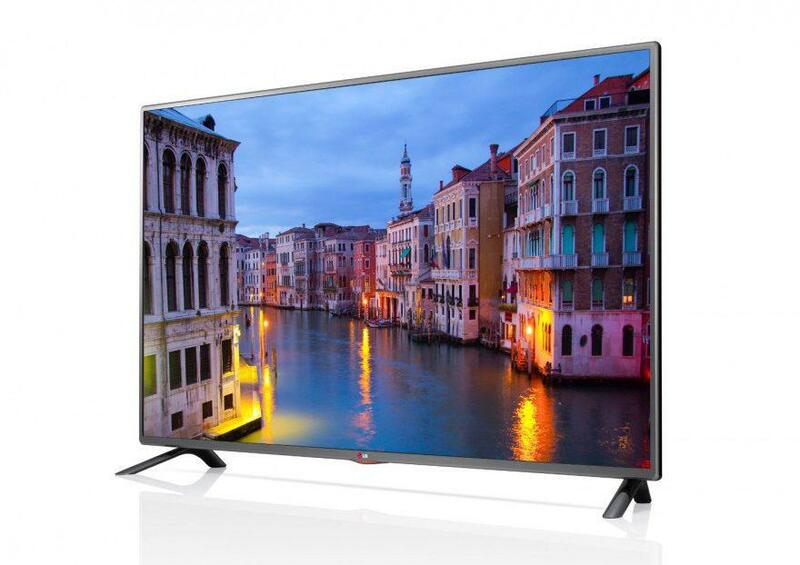 Find TV and Furniture strap products here . Find TV Stabilizing Bar here . 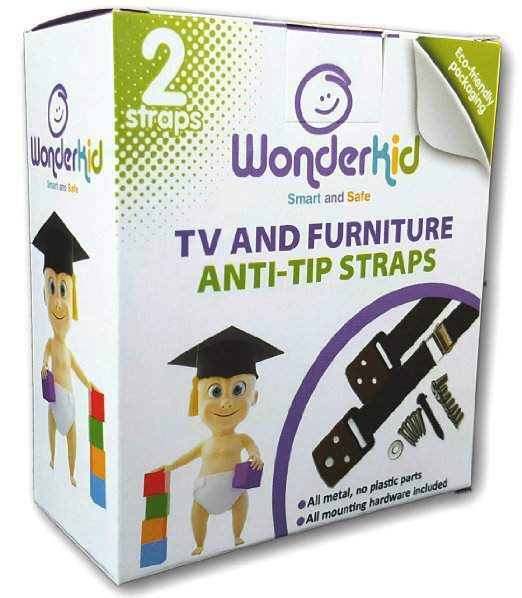 Our children’s safety is of the utmost importance, and this article is intended to bring awareness of the dangers of TV and furniture tip-over’s in our homes and elsewhere these hazards may be present. With all of us doing our part we can greatly reduce and even eliminate such tragic accidents. Please share this article with others so we can continue to spread the word regarding this important topic. Please take a few moments to watch this video from Safe Kids Worldwide. I would like to hear your thoughts regarding this article, so please leave your comments.